This is a story about dry fly fishing for steelhead and the creation of a successful pattern. I do not know by who or when the dry fly was first tried for steelhead here in British Columbia, but would guess it started as soon as the first fly fisherman saw a summer-run steelhead rise to an insect floating on the surface film of a river. Then he couldn’t wait to get to the tying bench or to start looking for patterns that would work, even attempting to develop some of his own dry flies. Not a gust of wind as far as the eye can see. The entire bay is a mirror while the sun scorches the skin. Nothing but summer heat and a horror scenario for us sea trout fishers, who want wind right into the shore with white crests on the top. We see some sea trout rise a few hundred meters from the shore – not within reach, which is only to be expected. Make coffee, grab a beer and hope that the rules of the game change for the better. We’ve been promised south-westerly wind today but the question is if it is blown away. We do not see the slightest ripple yet. Low-hanging clouds are drifting slowly up the Grand Cascapédia River valley as we emerge from the trail to Upper Murdock Pool. Gently brushing the tree tops, these ghost-like shapes are atmospheric remnants from a series of thundershowers that had come rumbling through the valley overnight, leaving the forest wet and glistening from fresh rain. As we had hoped, the thundershowers have brought the late summer water level up by about six inches. This, we reason, should excite the fish and hopefully increase our chance of a hook-up. Supposedly he meant that the river flows constantly and therefore it is always different water that you step in.Lucky for us fishers that some aspects of the rivers don’t change quite so fast, so we have a chance to get to know the places we fish a bit better. Andrew McGall looks at the Wilkinson, a fly that provokes a strong reaction. The Namsen river has a reputation of being broad and difficult to fish. At the same time the river provides quite a number of big salmon. The Englishmen of old used to call it no less than The Queen of Rivers. For fly fishermen, as usual, it is all about hitting the right spot. 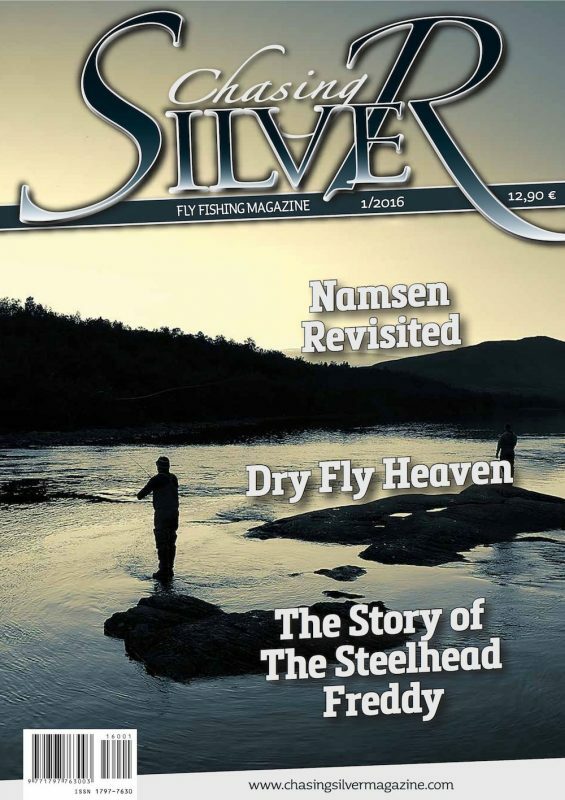 This is the complete guide to the Namsen’s best fly fishing. Matt Hayes has been making fishing DVD’s videos and Television series since the early nineties. With hundreds of angling broadcast shows to his credit featuring himself as a presenter but also with a budding career on the other side of the camera, in film production, Matt has achieved the holy grail to some: the angling lifestyle.